Anonymous on Blame unhealthy diets! For Humanities, our latest assignment was to create a book concerning Christianity and its effects on Rome. I hope you have more fun reading this than I had when I was writing it. I believe the paper straws that are in use by ISB’s cafeteria are beneficial for the environment. Below are the paper straws used. The plastic straws the cafeteria previously used would have taken a long time to break down, and when it did, it would leave behind minuscule shreds of plastic that would’ve contributed to the degeneration of the world’s ecology. The plastic from the straws would’ve been consumed by animals unknowing of their danger, which would harm the animal in various ways. Paper straws are biodegradable, meaning that they will decompose naturally when disposed of, and they’re edible if animals ever accidentally eat them. ISB’s decision to begin using plastic straws deserves praise, for it puts us one step closer to a greener future for Earth. I hope ISB continues to improve on its environmental efforts in the future. 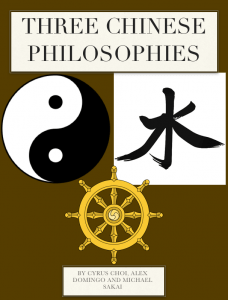 This is my book on three major ancient philosophies in Ancient China: Daoism, Buddhism and Confucianism. The religion I chose was Daoism. My group members were Alex Domingo, who was responsible for Confucianism, and Michael Sakai, who was responsible for Buddhism. Religion and philosophy played a huge part in shaping the China we know today. My book will focus on three of those philosophies. I suppose I worked hard on my food review, considering I wrote over a thousand words on it. I’m also proud that I managed to jot down notes for every food I ate. I thought my blog post was also sort of humorous, and I hope other people will have a good time reading my review. I learned how food reviews are prepared for (obviously), and how interesting it is to write them. I also learned what makes up a food review: ratings, the texture of the food, the taste of the food, quantity of the food, interior decor of the restaurant, and so much more. I didn’t meet any challenges and didn’t need to overcome any. One Day provides ISB middle school students with the chance to undergo an unique learning experience. Also, it’s fun. For One Day, I chose (in case you haven’t figured out from the title) Food Reviews! On January the 31st, I went to four establishments with other people to review their food. 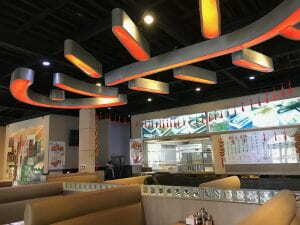 The point of this review is so that people will know where to go to eat when they’re in Shunyi. To be specific, near Pinnacle Plaza and Shine City. Some of you may already know these restaurants, but read the reviews anyways. My group ate breakfast at Jia Yi Bing Ding (甲乙丙丁 in Chinese). Jia Yi Bing Ding is a Hong Kong style restaurant that serves noodles, toast and other foods that can be found in your average Hong Kong street diner. The interior of the restaurant was spacious and pleasing to the eyes, with the walls painted grey and sofas coloured tan. There even was a grabber claw machine, even though I didn’t use it. There weren’t many people dining when my group arrived, so all was pretty quiet except for the sound of people giggling at their phones and gossiping at my table. 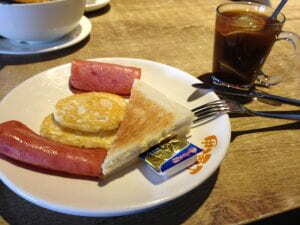 I ordered the set with fried eggs and ham with toast for 38 RMB. 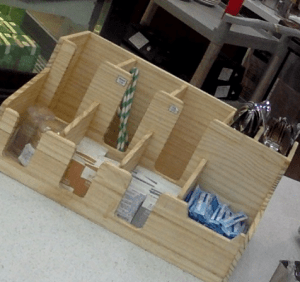 The set also included a beverage, so I ordered a hot mug of lemon tea. The food arrived within a reasonable amount of time. The set had two fried eggs, two slices of ham and two pieces of toast. The egg and ham was just your average ham and eggs. The toast was nothing too special, but it had its crusts cut off, which may displease or please some of you. I personally didn’t care whether the crusts were off or not. The lemon tea wasn’t too bitter, but if you wanted it to be sweeter, the restaurant would provide a small pitcher of syrup for you to add to the tea. 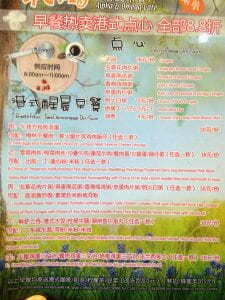 You could pay 3 RMB extra if you wanted a cold glass of lemon tea. Paying 3 RMB extra also increased the amount of tea you got. The only complaint I had with my eating experience was the butter, which was too stiff, rendering it unable to be spread. Overall, the 38 RMB I paid to eat this breakfast was pretty worth it, considering I got a warm drink on a cold morning along with a full breakfast. The restaurant is nothing special, but I would recommend it if you would like to experience Hong Kong cuisine. After going to Shine City stopping at Starbucks for a while (I didn’t order anything and still didn’t get kicked out for whatever reason) to wait for lunchtime, my group went to a Korean BBQ restaurant called Tan Tan Da Lu (坦坦大炉 in Chinese) to have lunch. We were also planning to go to another restaurant to eat lunch too, so my group didn’t order that much food. 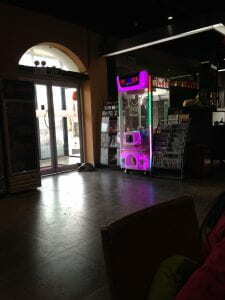 The inside of the restaurant was heated, to the delight of those in our group who had cold hands and faces. 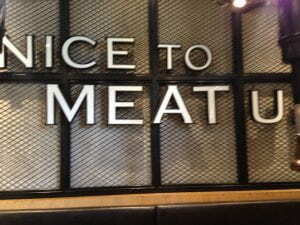 Also, the restaurant owners really seemed to like the pun “Nice to meat U!”, since it was written all over the place. The dining room we were led to was pretty cozy as well, and I thought the brick walls were aesthetically pleasing. The appetizers arrived shortly after we ordered, and they were delicious. The appetizers came free of charge and there were six kinds of appetizers, but I only ate three of them because the other three had vegetables I didn’t enjoy eating. Sorry. The first appetizer I tried was the kimchi with crabs, and I really enjoyed it, since I like eating spicy foods. However, the crab meat was hard to get to since it was a hassle getting the meat out of the crab shell. The second appetizer I sampled was sweet potato. It tasted better than most sweet potatoes I’ve eaten before, mostly because the texture was soft and smooth. The last appetizer I tried were the turnips, and I didn’t enjoy them. Probably because I don’t like turnips in general. I probably shouldn’t be doing food reviews, since I’m so picky. After the appetizers came the main dishes. Our group ordered the flat bone steak, pork belly, egg rolls with cheese and spicy rice cakes. I didn’t get to eat the spicy rice cakes, sadly. The flat bone steak (88 RMB) was cut into many separate juicy, beefy and flavourful pieces. My only complaint with the flat bone steak is that it was a bit hard to eat because the sinew the meat was attached to was stuck on the bone, which made removing the meat from the bone an inconvenience. I have nothing but praise for the pork belly (58 RMB). 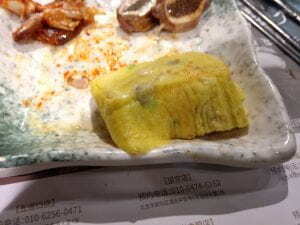 The pork belly was succulent, a little sweet and went well with the sauces and salt the restaurant provided us with. As for the egg rolls with cheese (48 RMB), I really liked how smooth and cheesy the egg was. It was almost as cheesy the words of praise I’m currently typing. All in all, Tan Tan Da Lu serves great food, the best of which is the meat. 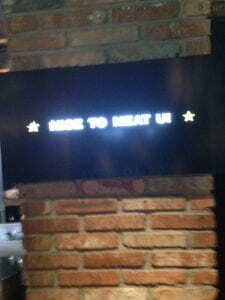 I would recommend this to anyone who would like to eat some good Korean BBQ. We ate lunch for a second time at a Japanese restaurant (also in Shine City) called Kyo Sakura (sorry, I forgot to find out the Chinese name for this restaurant). The interior of the restaurant was really Japanese (obviously) and at one point they played anime music over the speakers, so I enjoyed the interior of the restaurant. 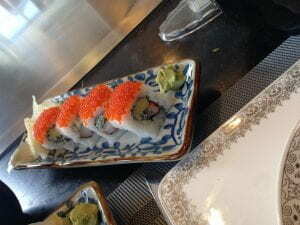 I didn’t order as much in Kyo Sakura, only a plate of California rolls. I have a bias for sushi, so I’m not sure if my opinion is valid in this case, but I really liked the rolls. 8 rolls cost 68 RMB, which I’m not sure is worth it, but what do I know-I don’t make any money, so I can’t judge whether to spend money or not. Kyo Sakura has a wide selection of Japanese food, so I would definitely recommend it. We didn’t have much time to get dessert, so we just bought some donuts at Dunkin’ Donuts (still at Shine City). I don’t know why anyone would want to read a review of Dunkin’ Donuts, since everyone has probably eaten there at least once because it’s a chain franchise, but here my review is. 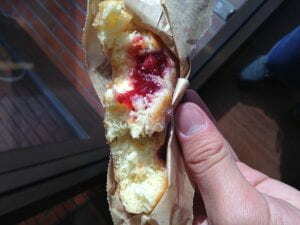 I bought one strawberry jelly filled donut, which cost me 10 RMB. I say my 10 RMB was well spent, because Dunkin’ Donuts make some good jelly donuts. The dough of the donut was chewy and the jelly within the dough was sweet. 10/10 would recommend it to those of you who like donuts. 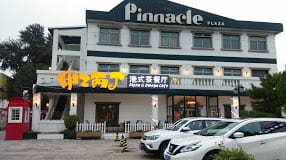 I hope this review has helped you in deciding where you want to eat next in Shunyi. If it hasn’t, well, at least you can tell your teachers you read something. I hope it’s the latter. This experience was really fun for me and I enjoyed eating food and writing about it (mostly the former). I hope you people reading this have a nice day! How can I be a kinder person? To become a better person in 2019, I will attempt to cease my nonstop intterupting of peers and teachers. I will know I have achieved this goal when teachers stop giving me the hairy eyball whenever I intterupt them. 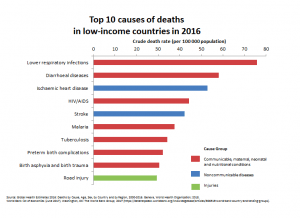 Posted on December 10, 2018 Categories UncategorizedLeave a comment on How can I be a kinder person? For Design Tech this year, our main assignment was to design and build a catchall. I made my catchall for myself. The biggest obstacle I’ve encountered during my project is making the nose of the cat. Initially, I tried to make it curved, but my attempts were futile, as the saw couldn’t change direction while cutting, and thus, I was unable to cut in a curve. That is why I resolved to cut a hexagon instead. Making the nose took me half the class, much to my dismay. Once concern that was shared with me during our feedback session was that the objects were in danger of falling off the catchall. My catchall is going to hang from the wall, so if a object were to fall, it was probably going to slightly damaged. It did not occur to me when I designed this catchall that the objects were susceptible to falling off, and I will be more mindful of flaws in my design when I plan projects in the future. For now, I will ailment this falling problem by making sure to hang the catchall at a relatively low location as to minimize the damage done if a object does fall. If I were to do this project again, one thing I would do differently is to, quite obviously, acknowledge the blatant flaw in my design and add walls at the edges of my catchall to prevent objects from falling off. The walls wouldn’t have to be very high, because the only things going into my catchall are my watch and my ID card, and both of these objects are fairly small. Humanities consists of four different strands of learning. We were told to select one of these strands to improve on, and I chose to improve on my Speaking and Listening. I perform decently individually in the speaking and listening department, but I also wish to assist others in voicing their ideas. To achive this goal, I will involve others during discussions as frequently as possible. Trimester 1 is coming to an end, and the time has come for us to begin reflecting on our progress this trimester and to set goals for the future. I sometimes get impatient when a group member asks too many questions and get snappy when this happens. This is why my goal is to try to be more patient when people ask me questions during the second trimester. One of the project we worked on during our unit on Ancient Greece was the “Greek Perspectives Thinglink”. We were told to create a interactive image in the tool Thinglink that detailed the views of the Ancient Greeks. In the project, we roleplayed as a time traveller who wound up in Ancient Greece and was trying to find out how people thought. In my Thinglink, I met a musician in the city of Delphi. He showed me around the city and guided me through the Pythian Games. My Thinglink can be viewed below.